AMD has released its final financial report for 2018. It shows that the company had made nearly US$6.5 billion for this year, which is a 23% increase compared to 2017. The company also claims to have posted a net income of $337 million, whereas it had made a net loss the previous year. 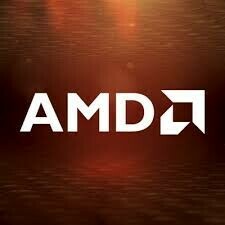 Analysis has also shown that AMD has increased its share of server and PC markets. AMD has released its overall financial results for 2018. It seems the company has had an appreciable level of advancement, particularly when compared with previous years. The company reported a revenue of US$6.48 billion for the year in question, which is a 23% year-on-year (YoY) increase. The results also included a total net income of $337 million for 2018, which is a considerable improvement over the $33 million loss from 2017. The report also had less encouraging points, however. It appears that AMD made quarter-on-quarter (QoQ) losses in terms of revenue, gross margin, net income and income per share. They were 14%, 2%, $64 million and $0.05 per share respectively. Nevertheless, the fourth quarter of 2018 (4Q2018) still demonstrated superiority over that of 2017 (4Q2018). AMD's CPU market-share data was also released, and has been analyzed by the group Mercury Research. The results indicate that the company had continued its YoY trend of improvements in terms of the server, laptop and desktop sectors. It made both QoQ and YoY gains in these markets. This meant that AMD had posted its greatest performance in these terms since 2013 for the laptop sector, and since 2014 for the remaining two. Unsurprisingly, this has been driven by the development of product lines such as Zen and Opteron. On the other hand, the server and laptop market data did not include data for the relevant IoT components, indicating that AMD has yet to establish an effective presence in this industry. However, it seems that AMD is set to launch the upcoming EPYC Rome and Ryzen 3000 lines from a position of unprecedented power and potential. In fact, if these new 7-nanometer series can help AMD maintain these YoY trends, Intel may find itself in considerable trouble by this year's end.